Axial now offers heavy duty transmission gears for the SCX10, AX10 and Wraith. 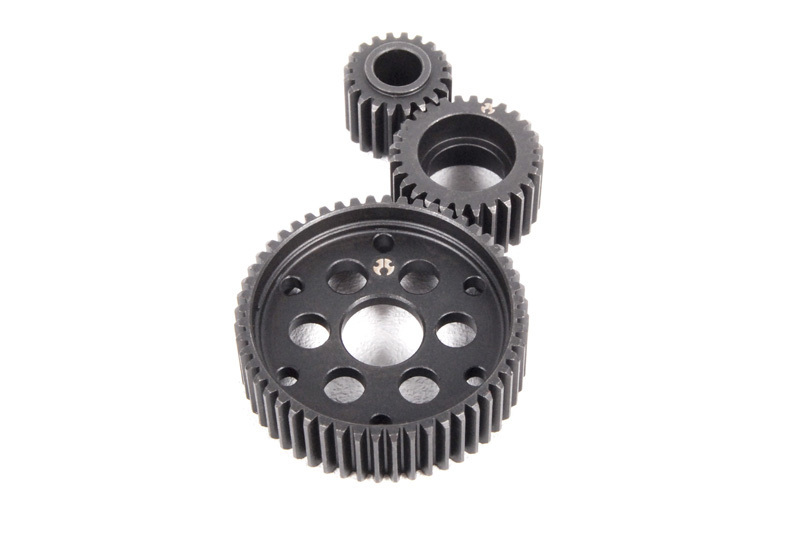 CNC machined steel transmission gears are more durable than the stock plastic gears. Steel gears are also hardened for the ultimate in strength. Perfect for high power applications, and big brushless motors. Rock race your way to the finish line with peace of mind knowing your transmission gears can handle whatever you throw at them, all day long!